An MBA in Accounting is a professional graduate degree program that offers students the opportunity to earn high-level business curriculum so that they can become knowledgeable and well-rounded business professionals. Unlike terminal master’s degree programs, MBA programs with a concentration in accounting are not entirely focused on the discipline. Instead, students will take advanced business courses to learn a variety of different skills and concentration courses that pertain specifically to principles that apply to the field. 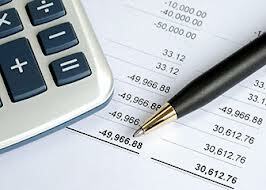 If you would like to continue your education, read on and decide if the MBA in Accounting is the right program. What Will You Learn While Studying for an MBA with a Concentration in Accounting? One of the things about MBA programs is that they have unique admissions requirements. Unlike a terminal graduate degree program, where you must have an undergraduate degree in a specific subject area, the major of your bachelor’s degree does not matter even when you want to pursue a concentration in accounting. This is because MBA programs encourage a diverse student base of professionals who have work experience and who want to network while they learn. To get accepted to the most respected programs, you will need an accredited four-year degree and a certain level of professional experience, according to US News and World Report. The level of experience varies from business school to business school, but a majority want to see that you have worked in business for two to three years before you apply to take a business program. Who Should Take an Accounting MBA Program? There are a variety of different types of prospective graduate students who can benefit from studying for their MBA with an Accounting concentration. One possible candidate is a student who has an Bachelor’s in Accounting and who wants to expand their knowledge and get more credits so that they can sit for the CPA exam. Another candidate is someone who has a degree in an unrelated area and who would like to switch to accounting without having to complete more undergraduate coursework. Business owners who have little accounting know-how may also want to consider developing their leadership skill and accounting skill by graduating with an MBA. Continuing education is always important in business. If you want to become a more marketable professional than you already are or you want to start a transition in your professional life, it is time to start planning. Compare the program offerings and decide if the MBA in Accounting will help you achieve lifetime goals.